STEP RIGHT UP and join our Circus to help raise money to fund LOCA’s community programs. 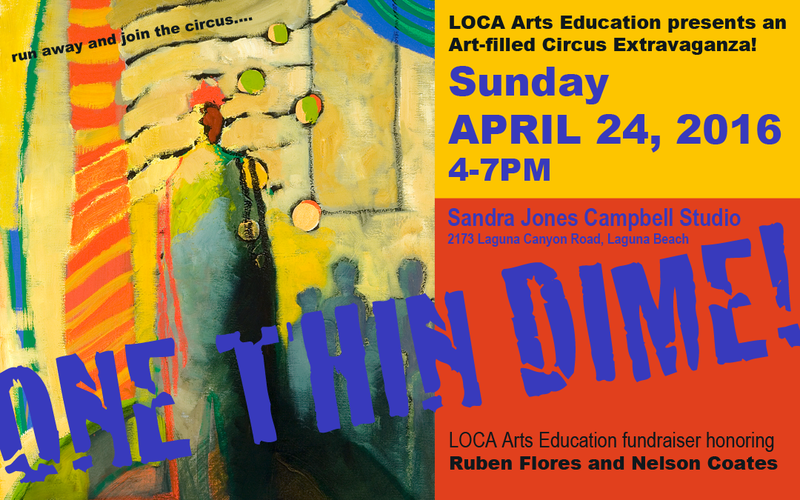 One Thin Dime is a art-filled circus extravaganza – complete with wonderful artwork for sale, carnival games and entertainment. We’ll also be honoring Laguna’s two wild Ringmasters, Ruben Flores and Nelson Coates, Special VIP Patrons can start the party early at 3pm with preview of the art and a glass of champaign. Buy your tickets NOW!